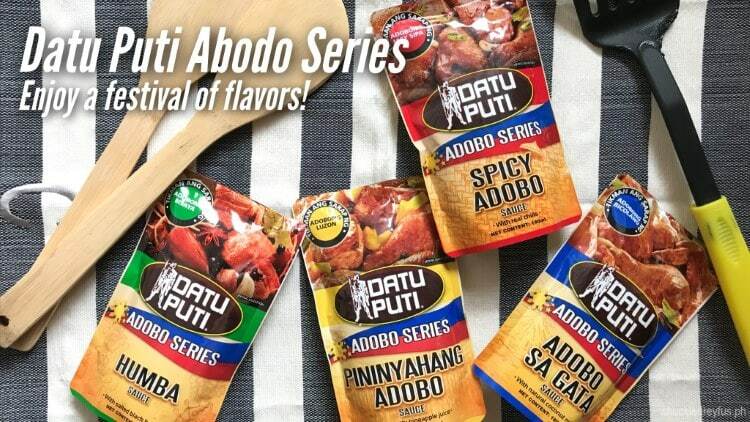 Datu Puti Adobo Series - Enjoy a festival of flavors! - All Chucked Up! 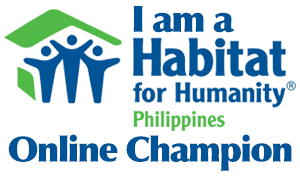 You are Here >> Home >> Food >> Datu Puti Adobo Series – Enjoy a festival of flavors! 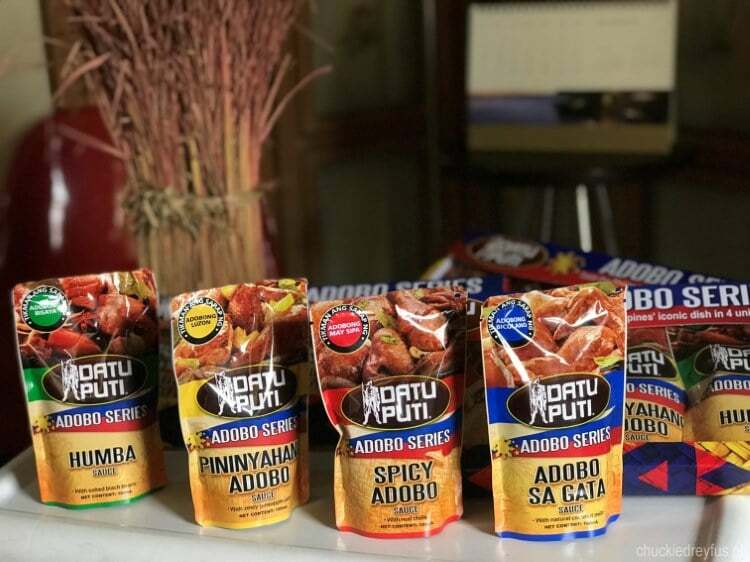 Datu Puti Adobo Series – The best and fastest Adobo dishes you will ever make! Not only that! 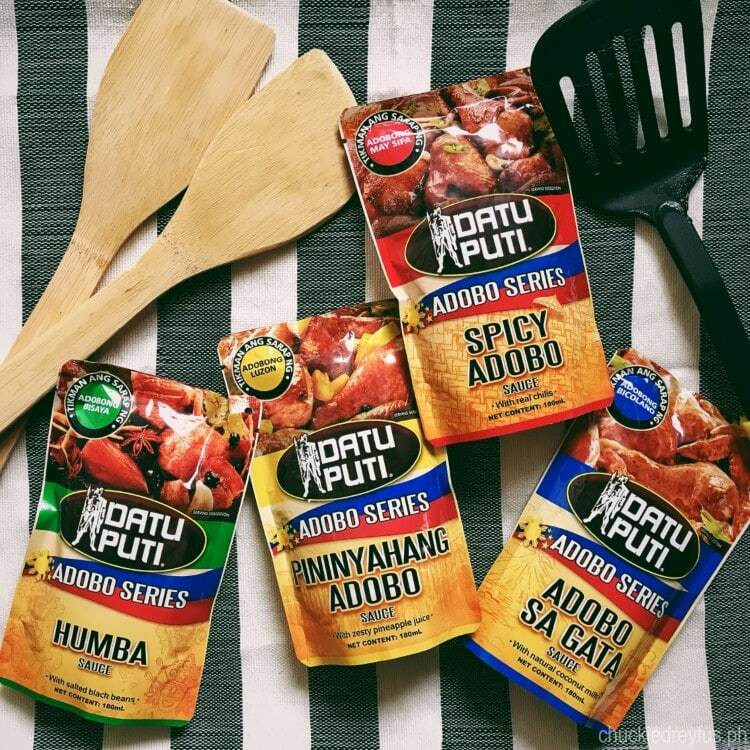 Cooking your favorite adobo dish has never been easier with Datu Puti Adobo Series. Just simmer your preferred meat in a pan with a cup of water and your chosen Datu Puti Adobo Series sauce. Each pack is good for 1 kilogram of meat and can serve four to five people. That’s it! Oh… were you looking for more cooking steps? Told ya it’s easy! This is great, especially for people like me who don’t know how to cook. But what makes this more awesome is that the Datu Puti Adobo Series is very affordable! The Humba and Spicy Adobo is sold for P28 only, while the Pininyahang Adobo costs a mere P30 and Adobo sa Gata is priced at P38 (based on SRP). Try all four variants now, available in groceries and supermarkets nationwide.